Camille Casteel was born and raised in Phoenix, Arizona. She attended elementary school in the Creighton School District and North Phoenix High School in the Phoenix Union District. Camille is currently the Superintendent of the Chandler Unified School District where she manages the day-to-day operations and the growth and development of a hyper-growth district. Camille received her BA and MA in elementary education as well as her administrative certification from Arizona State University. She received her doctorate of education from NSU, Fort Lauderdale, Florida in 1991. She has been with the Chandler Unified School District for 42 years and has served in a number of positions, including teacher, curriculum specialist, principal, assistant superintendent, associate superintendent and superintendent since 1996. Dr. Casteel has received numerous awards and recognition. Most recently she was the recipient of Si Se Puede Foundation's César E. Chávez Educator of the Year Award. Additionally, she received the 2011 Tech-Savvy Superintendent Award from eSchool News and was featured in Education Executive's July 2011 edition, Chandler Education Foundation Woman of Greatness 2009, Chandler Chamber East Valley Business Leader 2007, Woman of Distinction 2004 Soroptimist International, Arizona Superintendent of the Year 2001, Excellence in Leadership Award, East Valley Partnership 2001, and Magna Award Community Collaboration National School Boards Association 2001. In addition to serving as Chandler Schools' CEO, Dr. Casteel is also active throughout the community. Most notable is her service as a member of the East Valley Hospital Board since1988. 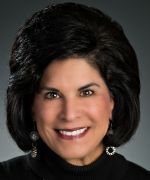 She is currently a member of the Dignity Health Corporate Strategic Planning Committee, Chairman of the East Valley Think Tank, on the Board of Directors for the East Valley Partnership, member of the ASU Polytech Community Board, inaugural Board Member for the Regional Health Record Banking Alliance, member of the Chandler Chamber of Commerce Foundation Board and member of the Board of Directors for The Alliance. Camille has been married to her husband, Tom, for 42 years and has two daughters, Tawni and Cari, who live in the area with their families.